It’s funny when two different people unknowingly have identical reactions to the same thing. I was in a store last week and there was music playing in the background. I had no clue what CD it was or who I was listening to, but all I could think was “Wow, does that guy have a voice!” Four days later, my daughter was in a different store and once again, there was music playing. Like me, she didn’t recognize the CD or the singer, but was amazed by just how good the singer was. Do I really need to tell you what CD had been playing in both stores? Since I view new releases as an opportunity to hear new songs, I don’t generally buy mix CDs. Yes, they can be enjoyable. Yes, they can be great background music for certain moments in life. But if I am paying eighteen dollars for an album I want new music. 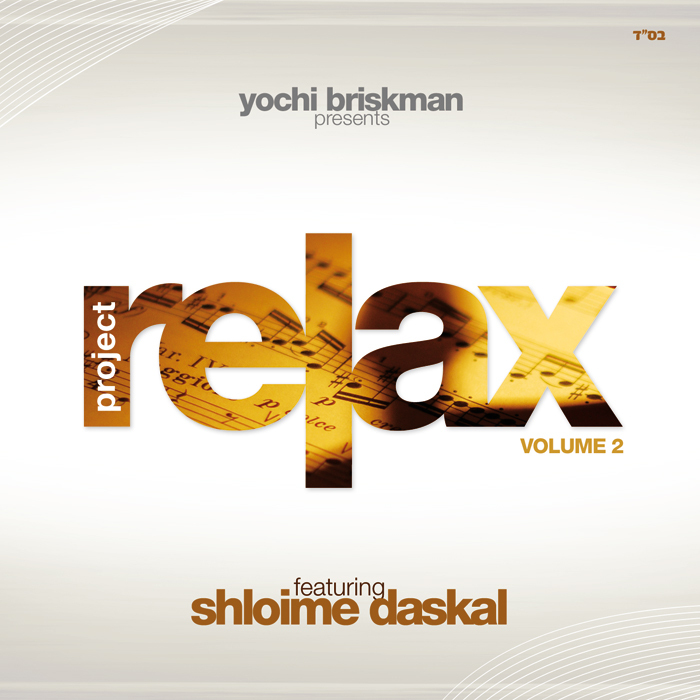 However, Project Relax Volume 2 is so good, it is definitely an album worth owning. There is just no denying it. When G-d was giving out good voices, Shloime Daskal got more than his fair share. This guy could sing the Declaration of Independence and make it sound good. Given that I never heard Daskal’s first CD, I was blown away by just how incredibly talented he is. This CD is definitely a Briskman family project and stands head and shoulders above anything else the Briskmans have done in recent memory. Produced by Yochi Briskman. Arranged by Yanky Briskman. Music by Yochi Briskman Orchestra. Moishe Roth’s choir work is perfectly suited to this album. Everyone involved in this project seems to have done their job right. The songs, a nice mix of new and old, are grouped by time signature. Daskal sings them all effortlessly and in most cases, does it far better than the original artists. Of the thirty one songs on this CD that clocks in at a little over an hour, almost a quarter of the songs are older MBD songs with five songs from Daskal’s album. Other songs that I particularly enjoyed were Boruch Levine’s Birkas Habayis and Haneshomo, K’Shoshana and Echod (two of Acheinu’s best songs) and Avraham Fried’s Aleh Katan. Daskal’s rendition of Yaakov Shwekey’s Vehi Sheamda is absolutely breathtaking and even if you are all Vehi Sheamda’ed out, it’s worth a listen. I’m not going to go through all thirty one songs on this CD. They are all good and Daskal is truly fabulous on each and every one of them. If you like the slow, hartzig stuff, this CD is definitely worth every penny.